Slonim has become a major force in the unofficial world of Torah Psychology. This is certainly true over the last twenty odd years since the spectacular teachings of the previous Rebbe ztsvk"l were published. Both the style and contents of his Nesivos Sholom have filled a gaping chasm left between the behavioral and cognitive schools of Torah Judaism, respectively led by the Baalei Mussar and Lubavitcher Rebbes. While reading his sefarim, both the moderately educated Baal Teshuva and the highly scholastic Talmid Chacham become swiftly absorbed within the exquisite balance he strikes between pure heart, incisive mind, soaring soul and common sense. The roots to this fine spiritual equilibrium go back to the first Slonimer Rebbe, or Saba Kadisha m'Slonim (1804-1883), who wrote his flagship Yesod HaAvoda as a counter to the attacks of the Misnagdim on the first major work of Chassidic philosophy, the Tanya, by the Alter Rebbe of Lubavitch. Taking the arguments onto the turf of the attackers, in the realm of Talmud and Midrash, as opposed to the Tanya's heavy reliance on Kabbalah (even though the Slonimer was a giant in Kabbalah), the Yesod HaAvoda redefined the issue of dveikus, cleaving to G-d. More than a rarified intellectual experience which the Tanya constantly refers to via the concept of Chabad (acronym for wisdom-understanding-knowing), the Slonimer emphasized the primacy of heart. "Evil cannot be uprooted by the intellect alone!" was a major principle. Perhaps it could be said that Slonim's psychology parallels what's called today Emotional Intelligence. I've heard the Rebbe shlit"a referred to as a gaon b'regesh, a genius of feeling. And the Nesivos was, by all accounts, a walking volcano of feeling for everything holy. The way he'd turn to the Chassidim on Chanukah and simply cry out: "the essence of this time is to I-G-N-I-T-E the soul" – and actually bring light into each and every chassid's heart! – is legendary. The Mashgiach in his Yeshiva days in Branovich Poland, HaRav Moshe Midner zts"l, was said to hardly make a noise when he davened. He'd close his eyes and crunch himself into an intense, fiery focus and quietly remain that way until he'd finish. Once he suddenly grabbed the shtender and slammed it back down, utterly shattering it, as he continued his Shmona-Esrai "Silent" prayer, eyes still closed – as if nothing happened! Yet emotion is not really it. Slonim's issue is Daas, which is the supernal realm between the heart and mind. It's a soul knowing that totally unifies with the Knowee, as per the first Torah usage of the verb in respect to Adam "knowing" his wife, V'Adom yoda es Chava eeshto. 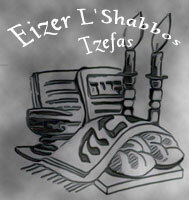 Daas chasarta mah kinisa, the Nesivos brings in the name of the Midrash as an opening to his Magnum Opus. "If you haven't acquired Daas, then what have you?" Among his many supports is the explanation of the Yesod HaAvoda on the talmudic discussion about the minimal gift a man needs to offer a woman in order to validate their marriage. "If he says to her 'marry me on condition that I'm completely righteous' – even if he's (known for being) completely wicked, (if she agrees then) it’s valid, since (we assume that) perhaps (in the interim) hirher teshuva b'daaso, he repented in his Daas." The key to understanding this extraordinary legal ruling is the Daas, the Slonimers explain. It could have said sikhlo, his intellect, or libo, his heart. But the Sages knew better. For Daas, as we've said, is the subtle link between the two that makes all the difference. Even if one's soul has been completely corrupted, the second he chooses to repent within this delicately balanced mind-heart consciousness, his whole being can positively transform (and thereby he can offer himself as the gift of gifts to his bride!). Another midrashic teaching which the Nesivos novelly interprets is "chochma b'goyim taamin; Torah b'goyim al taamin!" He explains this to mean that bare, theoretical wisdom (chochma) is something that even the gentiles can access. Torah, on the other hand, refers to a very different kind of wisdom; one that emerges from the experience of total self abnegation, driven by the heart and mind working in unison. In other words, Daas is the highroad to the unique Jewish experience. One who realizes this no longer needs to get bogged down by the chochma-bina process (cf. Tanya ch. 's 18-19; Nesivos I, Intro. 5). I've accordingly often thought of Slonim as Daas Chassidus. Yet NO one in Slonim would call it that! The reason is that while it's undeniable that achieving Daas is our major avoda, it's by definition nothing to set on a pedestal. The third Slonimer Rebbe, the author of Beis Avraham (1884 -1933) often would repeat the dictum: "the world says that if you can't go from above, go from below; yet the truly righteous say if you can't go from below, go from above and above!" I asked the Rebbe shlit"a once about this and he mentioned, with a smile, how Chabad has a similar saying with a different emphasis: "Always go from above!" Ah, this is the purest love that emerges from misras nefesh, total self sacrifice. 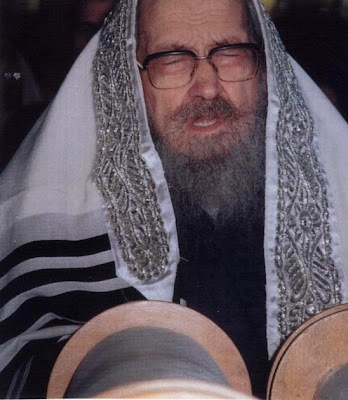 It comes only occasionally, but must be constantly aspired to, the Rebbe continued as he straightened up, radiating an unbelievable sense of vision. So where do we b-e-g-i-n, I tremulously asked? Which brings us to Mussar. 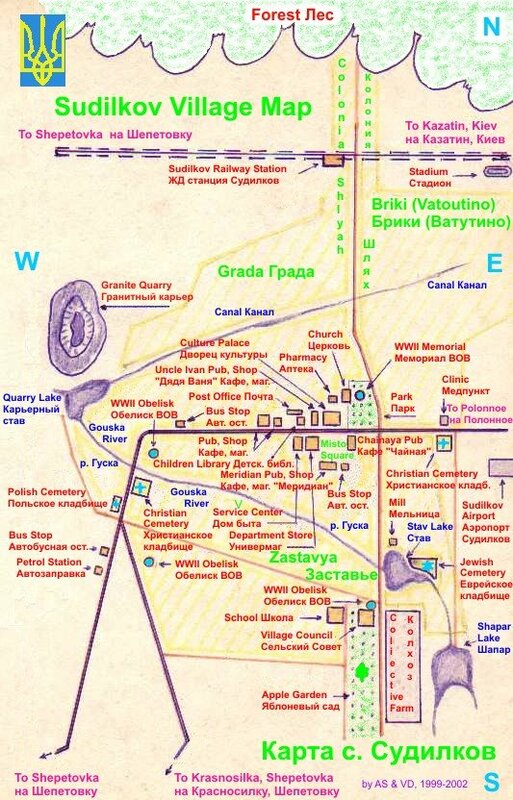 Slonim has always been known as a "Litvishe Chassidus." Though there were a few other schools of chossidus that took hold in Lithuania, only Slonim embraced the Mussar principles underlying that outstanding slice of Torah Jewry. That is, even though the typical Litvak took great issue with the chassidic quest to know G-d outside of formal Torah observance, preferring to spend their "free time" on the much more tangible work of refining their characters, Slonim managed to do both. Avodas HaMiddos was for them the highway to the highroad to Daas H'. Undoubtedly, this unique blend is what intrigued the Yeshiva world with Slonim and has allowed them to increasingly stock Slonimer texts in their very selective libraries. For in Slonim they saw that Chassidus need not be an alternative to their ideal of Daas Torah, but a compliment. In fact, Slonim's approach to Torah learning is every bit as probing and analytical as the typical Litvische Yeshiva, in contrast to the breadth emphasis amongst most Chassiduses. They do this, however, not because they consider Torah knowledge as the end all but as the supreme means to Daas Hashem. When the previous Rosh Yeshiva of Ponevitch, HaRav Menachem Shach, zts"l, once enthused that "the Nesivos Sholom is the Mesilas Yesharim (the classic Mussar seifer) of our generation! ", he meant it as a rare sign of approval and even affection for a Chassidic text. In real terms, one would be hard pressed to find another chassidic cheider system as organized and clean as Slonim's. From the other extreme, no where in the chassidic world is there a steady stream of niggunim as excruciatingly insistent on repentance and self improvement as there are in Slonim. Fascinatingly, Lubavitcher niggunim frequently enter the repertoire of Slonimer zitzim, song-gatherings, but always with a significant kvetch. As if to squeeze the theory out of it! Very indicative of the influence of Mussar on present day Slonim is what I recently heard from the present Slonimer Rosh Yeshiva about what the Rebbe once told a chossid concerning davening: "If your neighbor in Shul indicates that your davening style is bothering him, even if you're convinced that you're totally sincere, the onus of moving or modifying is upon YOU!" No other conceivable Rebbe could say such a thing. A Lubavitcher once came to Slonim on Succos, during a Simchas Beis HaShoeva, and commented to me, totally perplexed: "Never have I seen so many chossidim celebrating together with good Middos!" After a long chuckle, it got me thinking. While I certainly can bear witness that Slonim is NOT a paragon of perfected characters, it is most definitely a central interest of ours which for some odd reason does not concern most other Chassidim. Either they're way up with the angels or way down with the broken hearted. Apparently they left the middle ground for us. The Admur of Komorna, also writing in the mid-19th century, presents similar ideas in his introduction to Nesiv Mitzvosecha, "...the essence of the revelation of this wisdom in our generation is none other than to illuminate the nefesh, to purify it with longing and deveikus, love and fear, with holiness, purity and humility. And not to be an intellectual kabbalist [choker umekubal] or philosopher..."
They wanted people to turn away from philosophy, haskalah, contemporary culture in general, and to connect with G-d emotionally. These great men spoke for their time, a time when one could still turn away from the secular intellect and modernity to some extent, and their message resonates for some of us in our time too, But it doesn't seem to me that this is a realistic path for most of us in our time. Except for those in the most enclosed chareidi environments, turning away from the secular intellect and modernity is simply not an option. Frankly, I don't know what our generation's path is. The Bilvavi writes that in our times there is the revelation of the Reisha DeLo Ityada, the Unknowable Head of Atik, and our generation manifests within it the totality of human history and uncertainty of identity that comes from this high level. I'd be interested to hear how other readers would describe that which is unique about the spirituality of our generation. I believe the Rebbe Nachman's Torah 33 talks about this issue very nicely. He calls it the "Ahava sh'bDaaT"
I have not yet learned Nesivos Sholom. I thought of Michtav Meliyahu as a bridge between mussar and chassidus. I wonder how these two seforim compare, one coming from the world of chassidus and the other from the world of mussar. I have found the deepest mussar sefer dealing with practical midos work to be Alei Shur, by Rav Wolve z'tz'l. For tikun ha lev, nothing works for me like Likutei Moharan with the tefillos. Halavai they'd be perfectly imprinted on my heart. "Nesivos Sholom": Nesivei Chinuch - Essenial Perspectives on Education. I was very moved and inspired by this work. 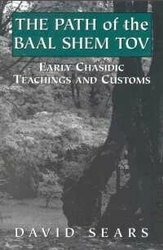 And I am grateful to Reb Yaacov Yisroel Bar-Chaiim for giving me a better understanding and appreciation of how Slonim Chassidus embraced the Mussar principles of the Lithuanian Mussar Yeshivos and combined these principles with their own unique Chassidic approach. Yosef: About Tikun hamidoys I personally like Ramak's "Toymer Dvoyro". It has very Baal Shem Tov-dike feeling about it. Bahaltener: I can't believe I forgot to mention it, it is certainly high on the list as well. It is such a beautiful sefer.